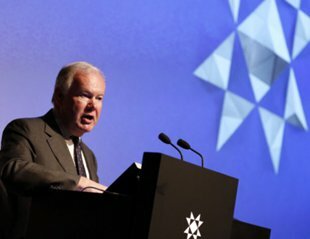 The British Minister for Energy and Climate Change, Mr. Charles Hendry, was recently in Reykjavik discussing energy issues with Icelandic authorities and people in the industry. Mr. Hendry also gave a speech at an energy-seminar at the headquarters of the Icelandic Arion bank. One of the main issues discussed were the possibility of connecting Iceland and the United Kingdom (UK) with an electric cable. The cable would transfer green electricity from Iceland’s natural renwable sources to the UK. Such a cable would also offer Iceland access to competitively priced electricity genereted in the UK during night (when demand in the UK is low). Thus, this could be a win-win project. It is no surprise that the British Government is looking for acess to new sorces of green electricity. The share of renewable energy in the UK is very low. The total annual production of renewable energy in the UK is 54 TWh, which only accounts to approximately 3.5% of the country’s energy consumption. The UK is determined to increase the share of renewable energy substantially. This is not only a governmental position but also a binding obligation according to the common energy policy of the European Union. Thus, the UK Department of Energy and Climate Change now has published the goal of having 15% of the UK’s energy consumption delivered from renewable sources by 2020. Let’s look at what this means in numbers. The cost is very uncertain but definitely very high. 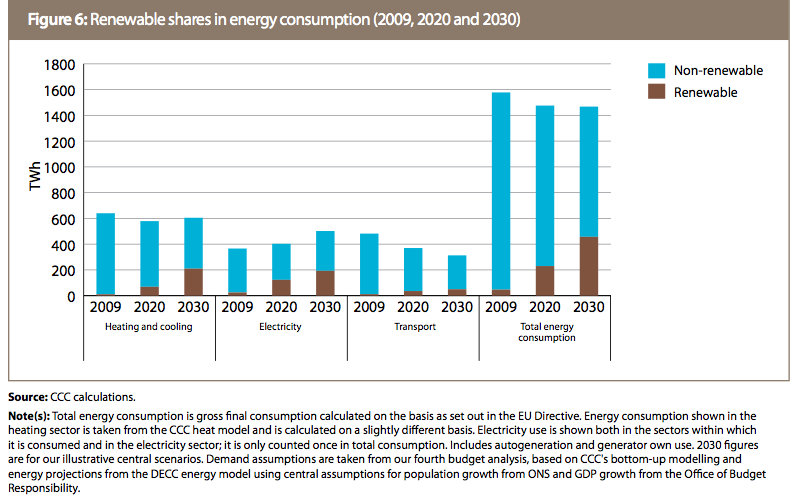 It is of course hard to foresee exactly how much energy the UK will consume by 2020. According to the Department of Energy and Climate Change it is expected that the UK’s total annual energy consumption in 2020 will be 1,557 TWh. And 15% of 1,557 TWh is 234 TWh. To achieve this goal of adding 180 TWh of renewable energy by 2020, green energy consumption in the UK will need to increase by 22.5 TWh each year over a period of 8 years. Obviously this renewable energy target calls for major investment in all kinds of green energy projects, including for example biomass, geothermal, hydro, solar and wind. Large portion of the new green energy will come from new renewable electricity generation (renewable heat and renewable fuels will have to increase substantially). Renewable electricity will need to maintain a growth rate of approximately 15% per annum from the 2010 baseline. In addition to more renewable generation at home the UK is also focusing on major imports of electricity from renewable sources in neighbouring countries – like Norway and Iceland. This is why the British Minister for Energy and Climate Change is very positive towards an electric cable between UK and Iceland. In fact Iceland has been considering such a connection between Iceland and Europe for years and even decades. However, it is probably not until now that such a high voltage direct current cable (HVDC) is becoming both tecnically possible and financially feasable. And keep in mind that the British Government is already considering even more ambitious renewable energy targets for 2030 and beyond. Recent independent advice from the British Committee on Climate Change (CCC) has concluded that there is scope for the penetration of renewable energy to reach 30-45% of all energy consumed in the UK by 2030! At the same time Iceland is in the somewhat unique position to have access to several excellent unharnessed renewable energy opportunities. 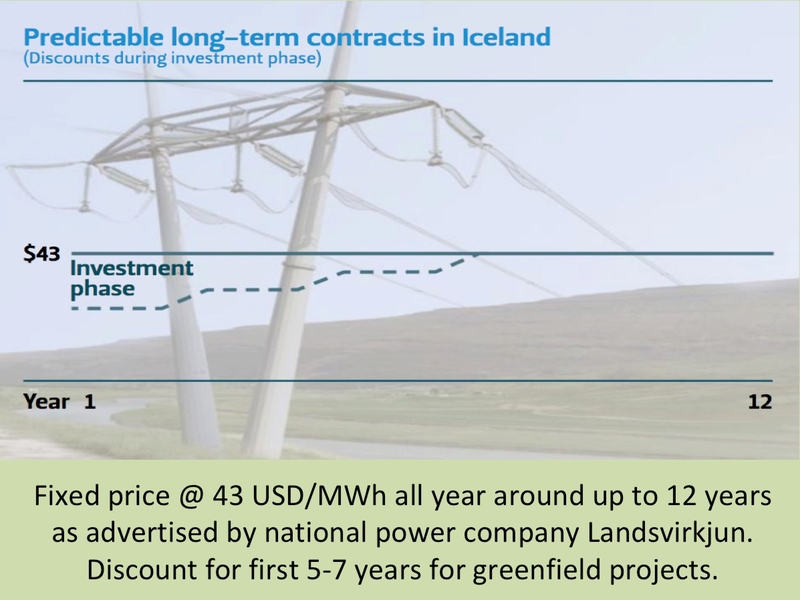 In the coming weeks we will be presenting more information about the possible Iceland-UK interconnector and explain Iceland’s potentials for generating more renewable electricity and gaining from Europe’s high electricity prices. The charts above are from these two reports.